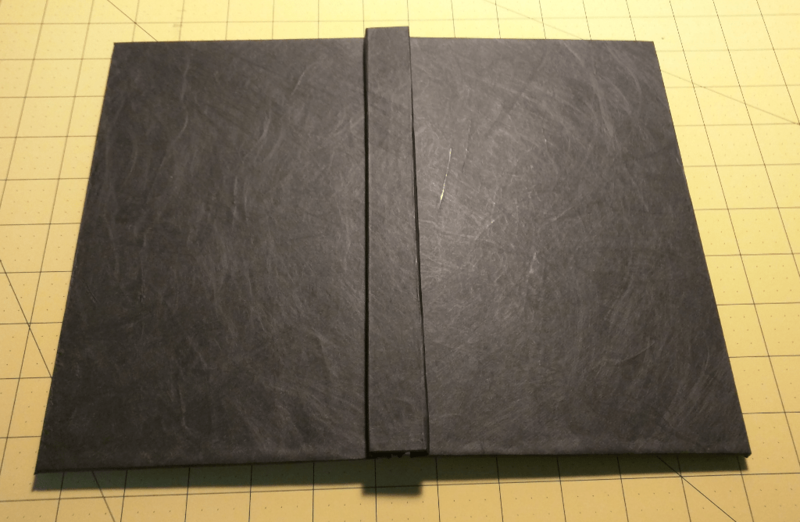 I’ve always been interested in bookbinding, but haven’t given it a shot until now. I followed these excellent tutorials by Sea Lemon on YouTube, and I think my book came out okay. 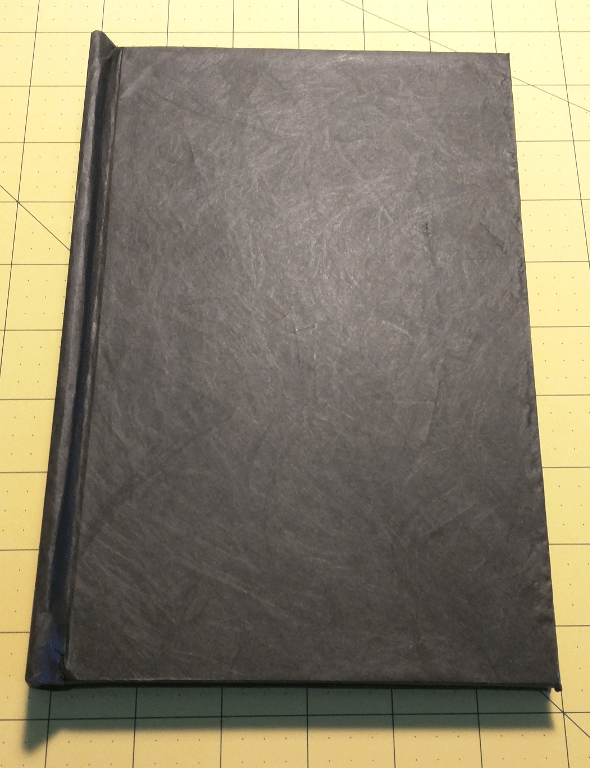 I made the case using black Tyvek for the cover, and 1/4″ masonite for the spine and front and back boards. I think it worked pretty well, and I like the way it looks. 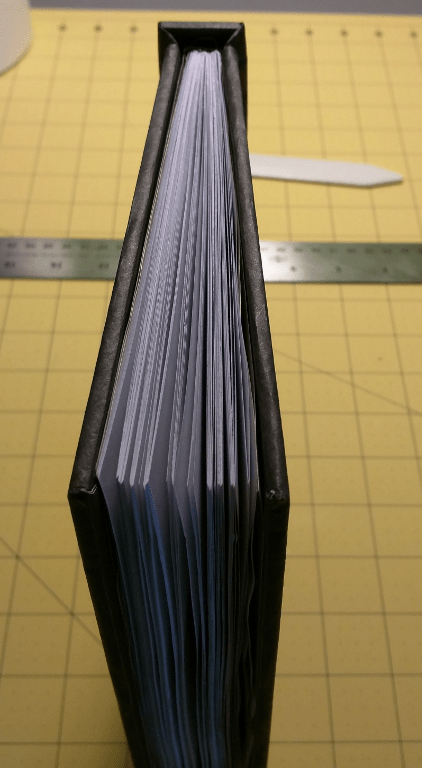 I sewed the signatures together using upholstery thread, and the book opens up really well. 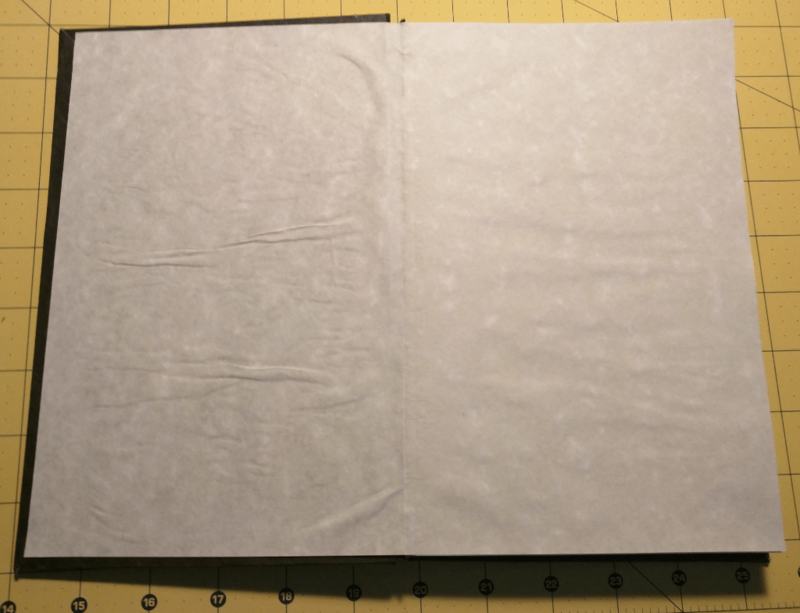 Another issue with rushing ahead was that I used a bit too much glue on the endpapers, and they wrinkled a bit as they dried. All things considered, I’m very happy with the way the book turned out, and I’ve got some different techniques to try next time. 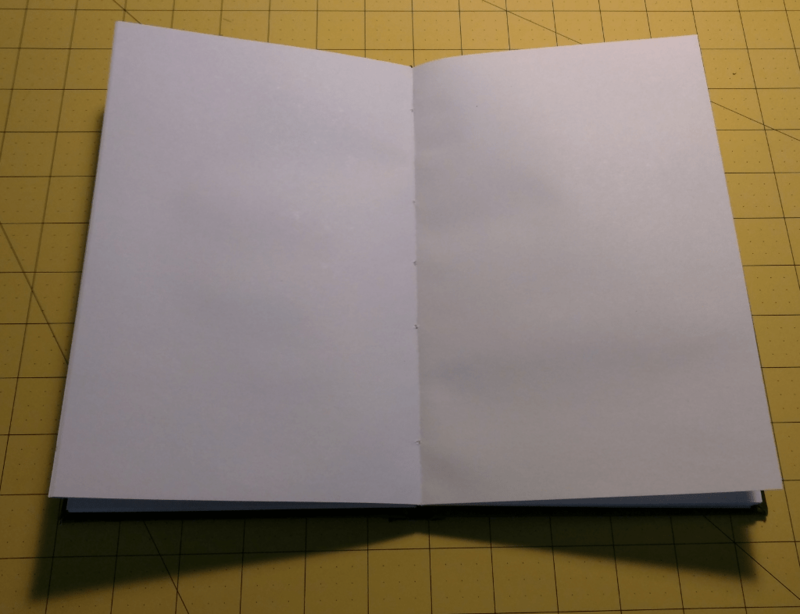 This entry was posted in Projects and tagged Bookbinding by Russ Lankenau. Bookmark the permalink.